When you first hear of an individualized education program (an IEP), it’s natural to have a lot of questions. What is an IEP? Are IEPs good or bad? What are some examples? What is the process? Here are the answers you’ve been looking for. 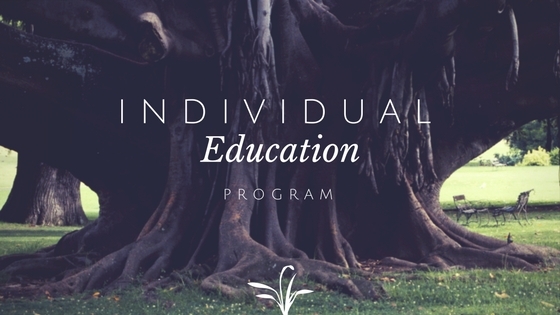 The Individualized Education Program ( IEP), is a document developed for public school children with disabilities of varying degrees. The IEP was introduced in 1975 ensuring that those with learning and physical disabilities have the same opportunity to education as all other students. In 1990, a federal law was instituted called the Individuals with Disabilities Act (IDEA) which ensures that all children with a disability have an IEP created. An IEP addresses each child’s individual needs based on the findings of a team of professionals including the parent. In order to receive an IEP, a child must meet two criteria. First, the child must have a formal diagnosis by the school or an outside professional that meets the definition of need under the IDEA. Second, the school has to ascertain that a child needs special education services to advance in the district’s general education curriculum. IEPs: Are They Good or Bad? There are many misconceptions involved with IEPs. Some believe that an IEP puts a label on their child, and many are unwilling to choose that path. Others believe that it could be bad for their child’s academic future. Some parents do not see the same behaviors at home that teachers see at school; therefore, they have a hard time believing their child needs an IEP. What is bad is if a child who struggles academically and socially cannot receive the kind of benefits that an IEP could give them. The main reason an IEP can be bad is if the parent is uninformed. No one knows your child more than you. The intimate relationship that parents have of their child’s needs, his or her strengths and weaknesses, and the child’s life outside of an educational setting are some the most important aspects to the development of an IEP. An IEP is good when used correctly. An IEP is a legally binding document mandated by the federal government. Once in place, the school must provide the service outlined and be held accountable if the goals are not met. Parent involvement in all phases of the IEP is part of the key to success. Advocating for the child and making sure that all accommodations are followed will ensure that a child has favorable outcomes. The sooner a child receives an IEP for a specific disability, the better chance he or she will have academic success. As long as educators and parents are diligent implementing an IEP, it should be a good thing. Most of the stigma attached to an IEP is something that can be overcome, but most importantly, the child receives access to a general education curriculum. The range of disabilities that an IEP covers can be found on the IDEA website. There are also many sources outside of school that can be beneficial to a child. There are many after-school enrichment programs that can help children get the extra help they need and continue their learning development. Overall, it is important to recognize if a child is having difficulty, the reason for it, and if needed, what intervention can help facilitate the best learning environment he or she can have. Student will greet peers and teachers using eye contact and a verbal greeting such as “hello” with 50% accuracy by January. Student will interact with classmates whom he considers friends for at least 15 minutes by the end of January. These goals would change once progress has been made. The goal would be at least 90% accuracy by the end of the school year. Without an IEP in place, this child would struggle academically, and, therefore, not be allowed equal access to a general education curriculum. The scope of this example IEP is much more complicated than the example given but highlights the advantages for those who benefit from having one. Any questions? What else would you like to know about IEPs?